For years, Android has had a ‘Check for Update’ button to let users manually check for an update in case the automatic OTA does not arrive on time. Unfortunately, the functionality has been a ‘hit or miss’ to put it simply (and in my personal experience, a miss for the major part, as it hardly ever came up with an update). However, it now appears that the latest Google Play Services update has finally fixed the ‘Check for Update’ button. 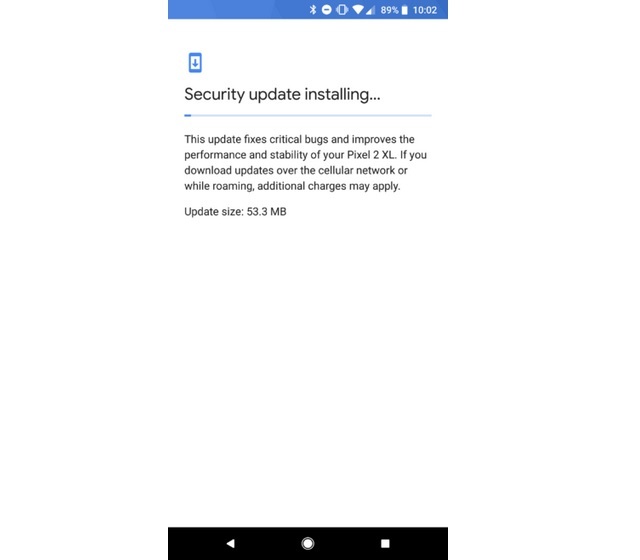 According to an Android Police report, the latest Google Play Services update (version 12.2.09) released on the beta channel has made the ‘Check for Update’ button truly functional, and tapping on it now presents an update, if there is one available. However, one must keep in mind that tapping on the button won’t always come up with an update, especially in cases when their network carrier has delayed one. If you don’t want the hassle of registering for the beta program, there is also an alternative route of downloading the APK, but we DO NOT recommend that you follow it unless you can access a reputable APK site such as APKMirror and know which version of the app is compatible with your device.